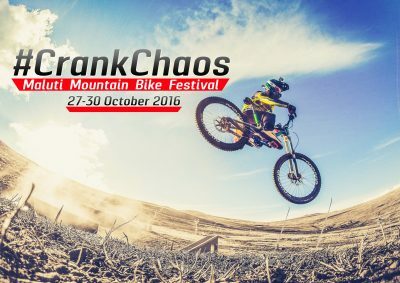 The magnificent Afriski Mountain Resort in Lesotho, located 3050m above sea-level in the Maluti Mountains, has launched a brand new 3-night mountain biking festival weekend from the 27th to 30th October called the CrankChaos Maluti Mountain Bike Festival. This will be the most rad mountain bike festival of its kind on the African continent, revolutionising the way riders interact with the latest bikes, gear and equipment in the mountain bike industry by bringing together the biggest brand names in mountain biking, allowing participants to test and rate bikes in the field they usually compete in. Over the 3 day festival, there will be a variety of events, including five downhill lines, an enduro, marathon, slope-style riding, cross-country, downhill eliminator, plus outrides for the more social riders, all possible across the resorts’ extensive trail network. Riders will also be able to hook up to the T-Bar Lift for a 200m vertical climb, and at the top, choose from a myriad of bike tracks to get down the mountain, testing bikes and equipment to their fullest, ripping terrain like pros. DHI World Champion, Greg Minnaar, will be there, and says, “CrankChaos is what South African mountain bikers have been missing. Similar festivals happen in only a few countries around the world, and this festival will be in that league. It’s a spectacular location, serious fun with family and friends that cannot be duplicated anywhere else, and in a format I love and endorse. It’s the best way to test brands you have always dreamed about, and ride the Maluti Mountains with spectacular views, whilst having the most fun ever, guaranteed.” The weekend also offers live entertainment, all meals, great accommodation, and the traditional world-class Afriski hospitality. Unmissable! Only 200 guaranteed spots are available so this festival is a must. For more information and booking info, go to . . .
Samsung South Africa’s new Brand Ambassadors effortlessly embody the company’s values JOHANNESBURG, South Africa – 8 August 2016 – Samsung South Africa has announced five new celebrity Brand Ambassadors who epitomise Samsung ideals and characteristics across a range of product categories. 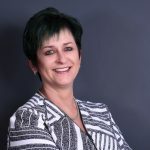 “At Samsung, excellence and innovation are key and we believe these local ambassadors embody our corporate identity in appearance, demeanour, values and voice,” says Michelle Potgieter, Director of Brand and Communications at Samsung SA. 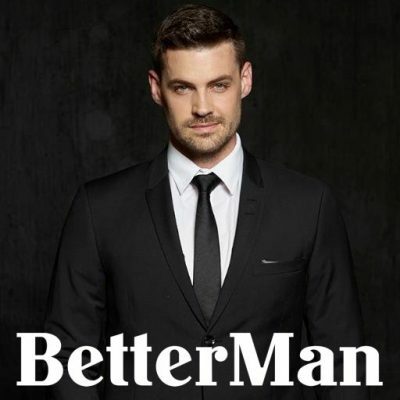 The five new Brand Ambassadors include Olympic swimmer Cameron van der Burgh, actor and TV presenter Maps Maponyane, celebrity chef Reuben Riffel, renowned Afrikaans singer and actor Bobby van Jaarsveld and former Miss South Africa and businesswoman Jo-Ann Strauss. 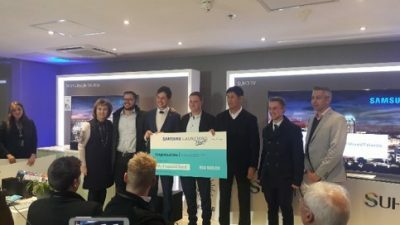 “These Brand Ambassadors are all leaders in their respective fields and Samsung South Africa is proud to be associated with them,” says Potgieter. Samsung is specifically partnering with these five individuals because of their qualities that are embroiled in the company’s character. Each of these Brand Ambassadors are also highly respected and just as Samsung, enjoy an outstanding reputation - an ideal fit with the brand. Swimmer Cameron van der Burgh, is an exceptional athlete. He combines top performance in his sports with elegance and power and represents precision and excellence in the Samsung TV and audio-visual categories. As an Olympic gold medallist and budding businessman, Van der Burgh perfectly suits the Samsung Television and audio-visual image. “Like me, Samsung puts a lot of effort into being the best and staying ahead of competitors,” says Van den Burg. Maps Maponyane, representing pioneering style in the Samsung integrated mobility and wearables category, is an actor, presenter and entrepreneur and has been voted GQ’s Best Dressed Man and Cosmopolitan Magazine's SA’s Sexiest Man. “I’m proud to be a Samsung Brand Ambassador,” he says, “because . . .